After coming back from the Global Education and Skills Forum in Dubai, in addition to the joy of attending a good event as well as being connected with many of the best teachers in the world, I couldn’t stop thinking about the story of three students from Marjory Stoneman Douglas High School in Parkland, Florida, sharing their experiences surrounding the recent school shooting. When I heard the children share the deaths of their friends in the classroom, I could not hold back my tears. In Vietnam, we are fortunate that there has been no attack on any such school; however, school violence is still the sadness of many people in my country. I asked myself: "How can I end school violence?" After a few days of thinking, I concluded that only when human beings treat each other kindly and sympathize with each other, this society can have peace. However, simply talking with students about kindness will not be effective. So, I started a project of building kindness for my students connected to specific actions in life. How do I Create a Kind Environment in My Classroom? Every day, I always spend 15 minutes before the start of class to tell the children a story or show a video of kindness. Some children show tears of emotion, and they raise their thoughts after listening to the story or watching the video. Most of them have learned a lesson in kindness; however, children cannot learn kindness just by thinking or talking about it. Therefore, I always expect the children to have kind actions. First, I let them discuss some of the actions that are considered kind, for example: helping parents or friends, keeping the environment clean, and taking care of yourself. I started asking them to take concrete actions to show their kindness in different places such as school, home, and public places. I also work with parents to take pictures of their child's kind works. I have been very surprised and happy that nearly 100% of my students are doing good deeds. Gradually, kindness has become a habit in their lives. Besides, I also organize many activities, so students have the opportunity to practice good values in the classroom. For example, they can participate in the game "Love Words." Each student will put a piece of paper behind him, and the rest of the class will write positive words to comment on the student. At the end of the game, each child smiles for the kind words he receives from his classmates. I am happy that besides teaching my students the knowledge in textbooks, I am also building their mental health. I also regularly incorporate lessons on the 17 United Nations Sustainable Development Goals. It is a joy to know that they are always using these lessons in real life. 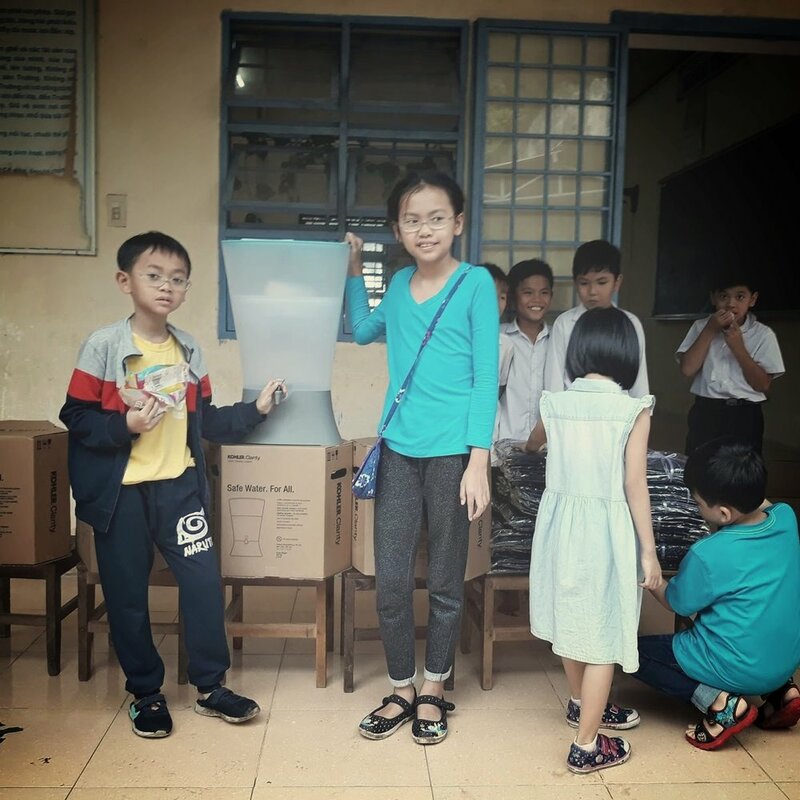 After learning about Goal # 6: Clean Water and Sanitation, my student Minh Nhan spent her two-day weekend traveling to an area in Vietnam with a poor and contaminated water supply to teach people how to filter and keep their water clean. What do my students think about being kind? "I feel I am a useful person." "I understand my parents’ hard work." "I'm happy to help everyone." That's the feeling of the students when participating in the Everyday Kindness project. Throughout the project, the children learned about their parents 'struggles, their parents' concerns, and their concern for those around them. Many students have abandoned the habit of playing games on their iPad to spend time together doing housework and caring for parents and grandparents. These are the significant effects that the project has had during five weeks. Students are now doing kind acts just to see the smiles of their parents and make people around them happy. But most important, to "find themselves useful" is what makes them the happiest and most proud of themselves. Join us to spread kindness to the people around you! 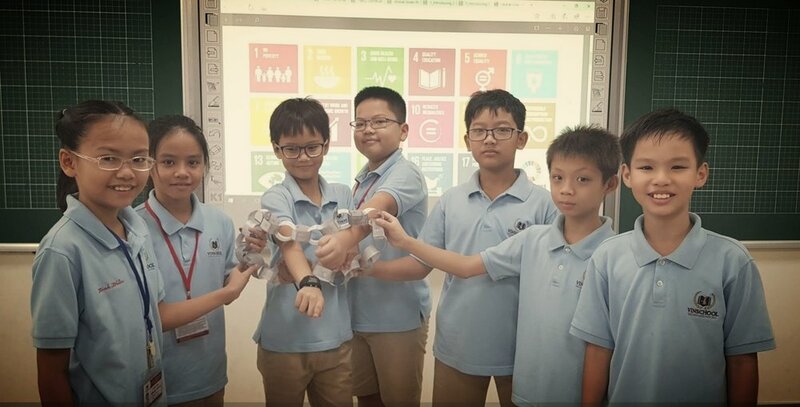 The Everyday Kindness Project is a five-week project focusing on SDG 4: Quality Education and SDG 16: Peace, Justice, and Strong Institutions. Classes all over the world are getting involved to spread the simple mission to be kind every day. You can get involved in the Everyday Kindness Project too! It is often the simplest of things that have the greatest impact, and the Everyday Kindness Project is no different. Check out the website, fill out the google form, and start sharing your ideas for how you and your students make the world a kinder place! If we all added a little more kindness to our lives, the lives of others, and the planet, wouldn’t the world become a more peaceful place? Nam Ngo Thanh (@mrnamvas) works as a primary school teacher in Ho Chi Minh city, Vietnam. He is also Microsoft Learning Consultant and Varkey Teacher Ambassdor. He has authored multiple articles and has been nationally and internationally recognized for the implementation of creativity and the integration of technology into his teaching. 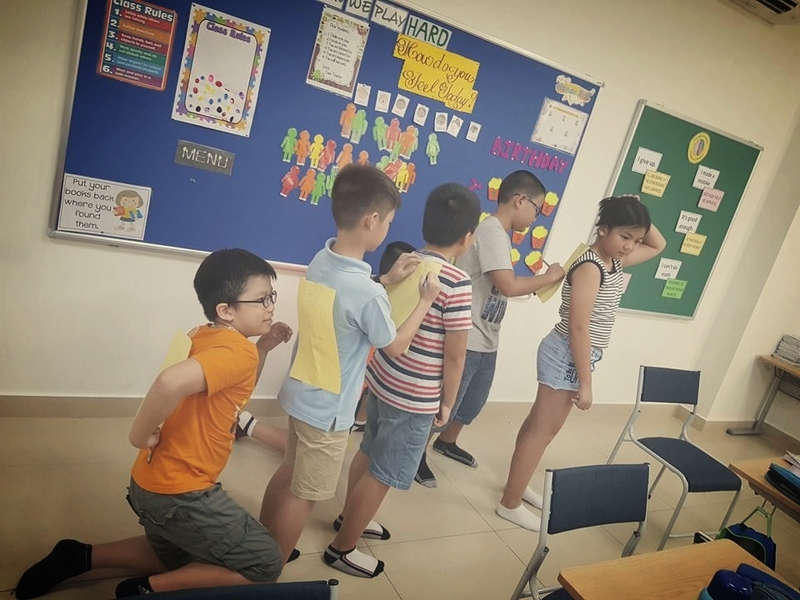 As well as being a Top 40 Finalist for the Global Teacher Prize 2018, he was also named Educator of the Year Asia 2017 and the winner of the 2018 ISTE Global Collaboration PLN Award.